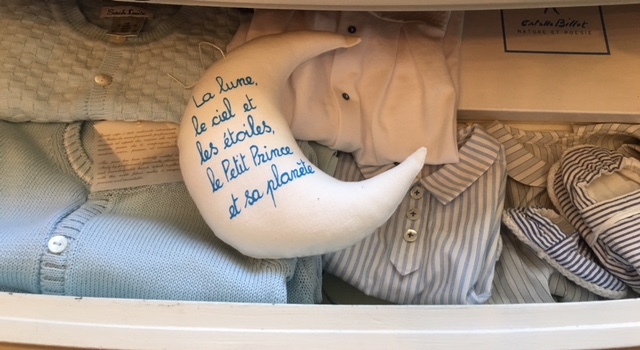 One day, a million years ago, I discovered a fabulous line of lavender sachets created by a lovely French woman, Estelle Billot. We continue to purchase her colorful Dupioni silk sachets, her stacked linen sachets and her baby rattles and "Baby Sleeping" pillows for the Boutique every year. 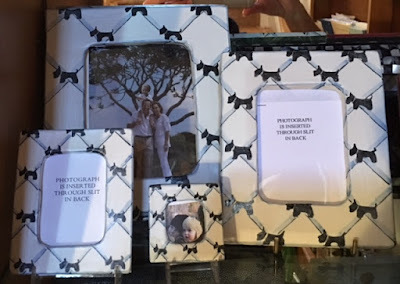 This year, however, she has added a few new items that we just could not ignore. 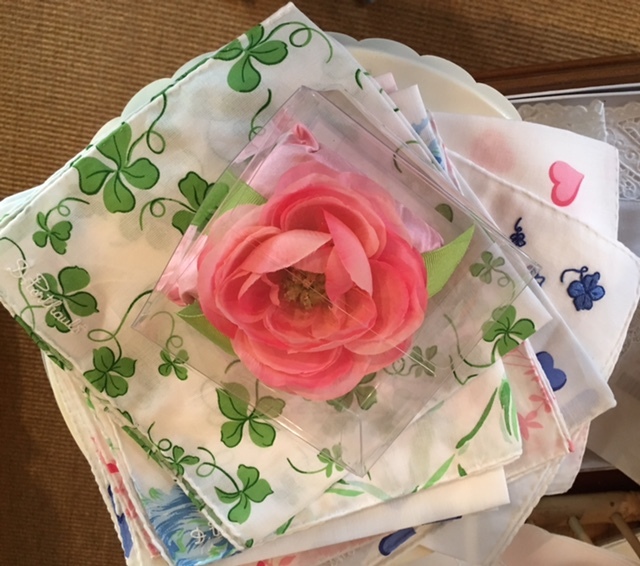 These rosebud-printed cotton shoe sachets are perfect for every shoe in your closet. I am a big fan of treating yourself as well as you would a guest. 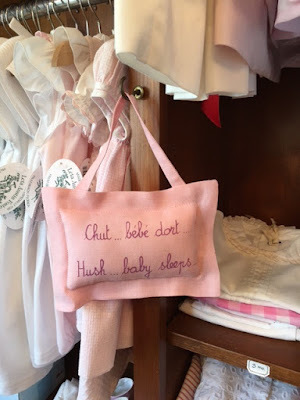 While anyone would love to receive a few pair of French lavender shoe sachets as a present, can you think of a more deserving recipient than yourself ? Another new offering from Estelle is a single silk sachet with a delicate flower topper. So simple and yet so grand. 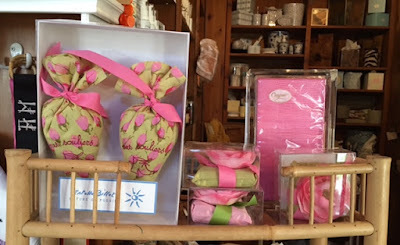 These are the perfect size to add to a Christmas stocking, toss in a lingerie drawer or keep in your car for an everlasting aroma of lavender...... just a whiff is like an instant trip to Provence. Estelle Billot's little sachets remain some of the best things to give for those who treasure simple and unique presents inspired by her French heritage. We have carried the wonderful painted frames of Catherine Kulesh for a very long time. 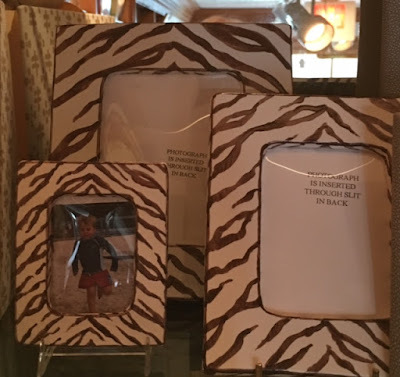 This artistic painter has created so many unique designs over the years that, at this point, her collection has something for everyone....florals, modern stripes and zebra patterns, cute animal designs and nursery prints. For an extra fee you can have her inscribe your name, monogram or date on the frame as well. These personalized frames are a favorite present for new babies, weddings and anniversaries. Anyone recognize this cutie pie ? 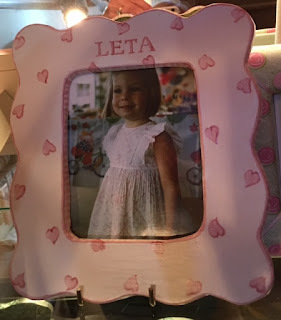 Yes, the frame says LETA, but it is not me nor my granddaughter Leta in the photo. See if you can guess ! Just recently, we received our new order for the season and Catherine's current collection does not disappoint ! There is still time (although not a lot) to order a personalized one for Christmas or Hanukkah. Give us a jingle at the store....561.655.7367....and we will be happy to help you design one for that special person. 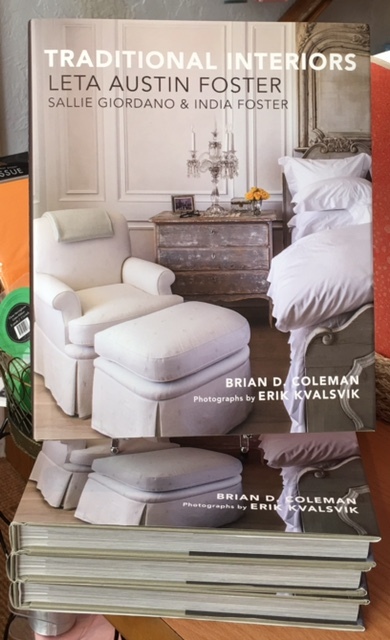 The long-awaited "Traditional Interiors" by Brian D. Coleman is in stock in my Boutique. 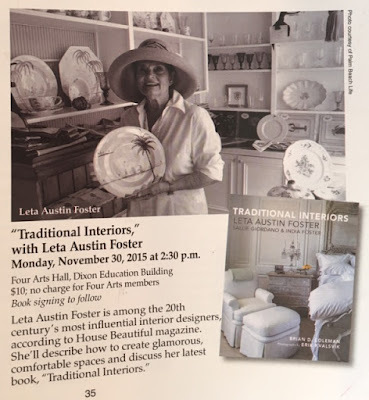 I couldn't be more please at the wonderful photographs and the brilliant text which show some of my favorite interiors in the most charming light. Please come pick up your book today and I will be happy to sign a copy for you ! Don't forget to remind your friends that I will be speaking at the Four Arts in November and will be available for book-signing there as well. 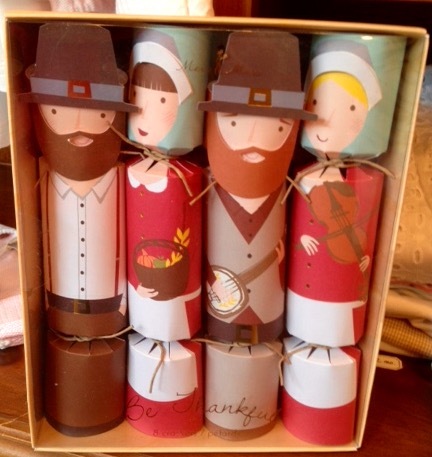 Just a quick alert to let you know our Thanksgiving Pilgrim Crackers and our Turkey place cards are running low. 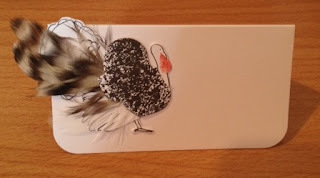 Give Betty a call or email her at the shop to reserve a box or two of crackers (8 to a box) or a package of place cards.